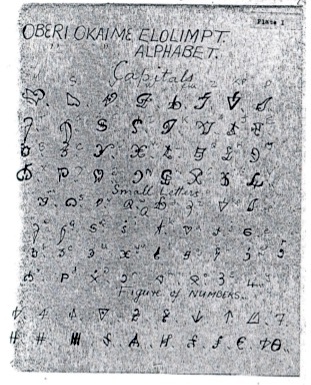 Medefaidrin is one of more than a dozen examples of a “spirit language” — that is, languages and/or scripts revealed in a dream or vision — spoken by a Christian group known as the Oberi Okaime (freely given) Christian Church in the Ibiono and Itu Local Government Areas of Akwa Ibom State in the oil-rich Niger delta region of Nigeria. According to the community, the language was revealed in 1927 to one of the founders of the community, Bishop Aikeld Ukpong (also known as Michael Ukpong) on a “spiritual board” visible only to the initiated, after Ukpong had been taken into seclusion by the Holy Spirit. 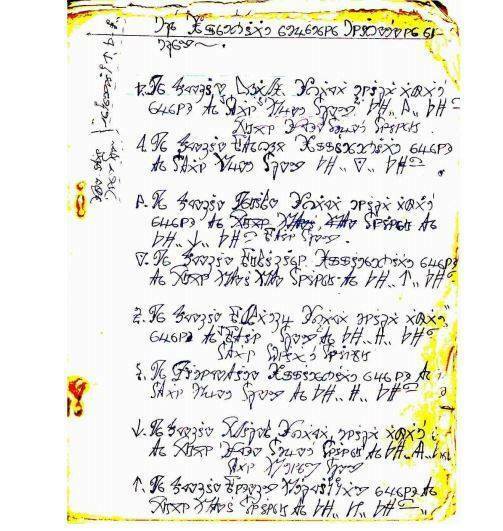 Since Ukpong was not literate, it fell on the Secretary of the group, Prophet Jakeld Udofia to transcribe the writing — an especially interesting achievement given that at the time Ibibio was not a written language. 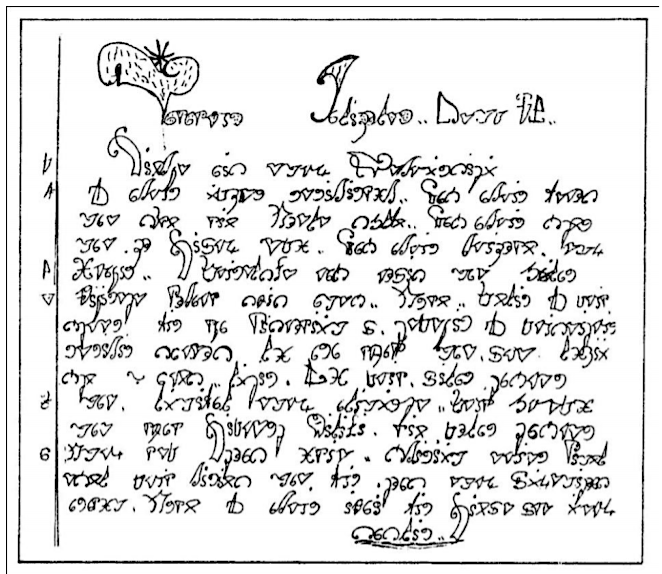 The community continued to develop the language and script through the 1930s and then started a school in which children were instructed in Medefaidrin. 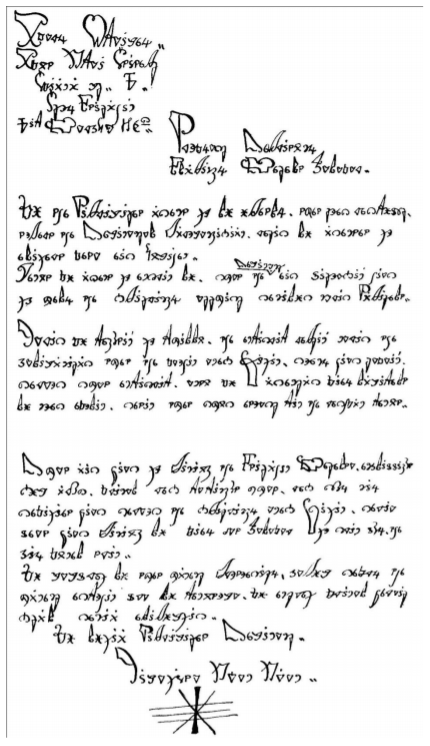 British authorities closed the school within a year, but the community continued to use Medefaidrin for church activities, including liturgy and hymns, and for letters and written contracts between members. 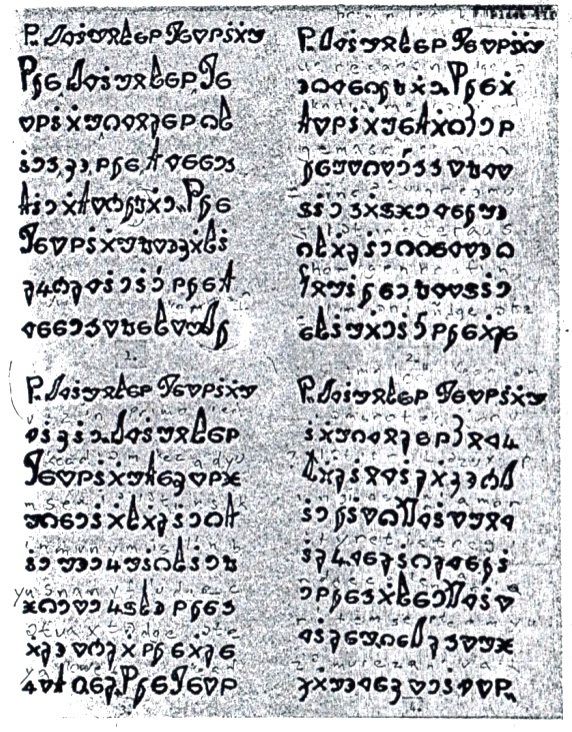 The language faded from use, but in 1986 Udofia began teaching it again in the church’s Sunday school in Ididep. 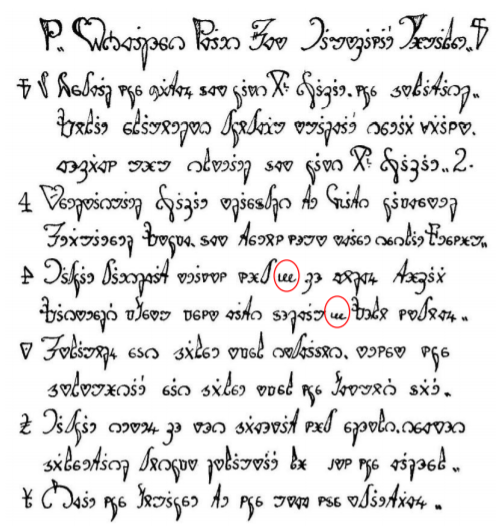 According to Unicode, the religious community currently numbers about 4,000 members, but there are fewer than 20 adult speakers of Medefaidrin and only a handful have mastered the script. The Department of Linguistics & Nigerian Languages of the University of Uyo, Nigeria is reported to be promoting and supporting the language revitalisation efforts of Medefaidrin through language documentation projects including scanning old handwritten texts, development of a multilingual e-dictionary and research projects by staff and graduate students of the Department.